Additional flights to and from Santarém are required, from either Manaus or Belém. Santarem features a fascinating 'meeting of the waters' whereby the Amazon River's milky colored water runs beside a deep-blue colored river, without mixing. 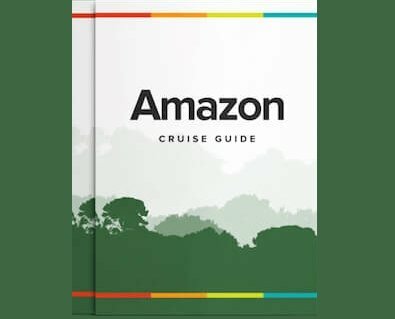 Her nine cabins are spacious and well-fitted; the guides are hugely knowledgeable and enthusiastic; the chef is a master at turning out wonderful meals based on local ingredients and recipes ... and the barman knows all the cocktails that can be made from the rich array of Amazon fruits! The itineraries - of five, six or ten days (and special 7-day departures for New Years) - have been honed over the years to offer a great mix of natural history, local contact and relaxation, in an area of the Brazilian jungle less often visited around Santarém, but still bursting with flora and fauna, and human warmth. Please note that a pre-arranged visa is required by holders of US, Canadian and Australian passports, in order to enter Brazil. Contact us for more details or view our Visa & Reciprocity information post.